I am carefree and a risk-taker; I honor and love my uniqueness. 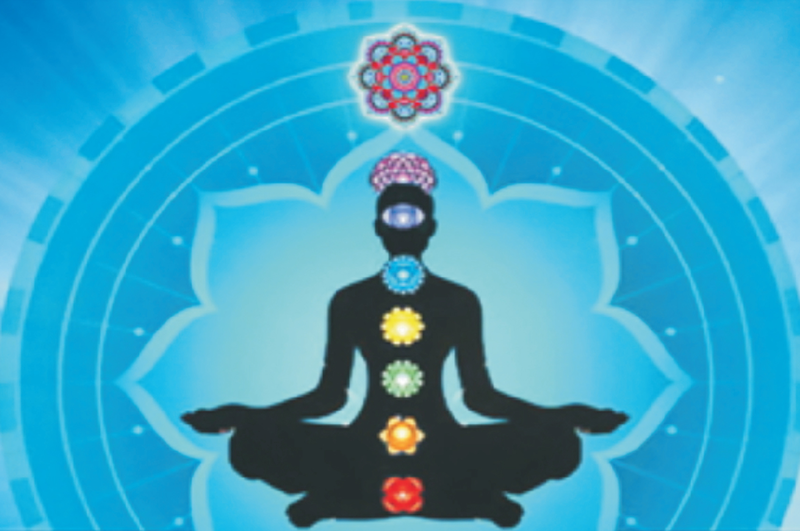 As you accept with patience and surrender the difficulties you encounter throughout life on a daily basis, so will you find flowing into you through the Crown Chakra, a light or life-force which will remove all anxiety and pain, making each day a new experience. This comes to each one of us gently, slowly, as we open ourselves from within to the gifts of Spirit. Occasionally you will become aware of a glow within your heart, or of a light feeling, and you will become aware of the harmony which is shaping your life right now through the power of the Divine. If you direct the right thoughts to those around you, and begin to put the action of the Law of Love in front of any circumstances you may find yourself in, you will find that these troubles and upsets will gradually smooth themselves out. Events will begin to work more harmoniously for you and you will begin to feel, "God is very good to me." You will begin to realize that within you, as you practice your daily meditations, there is a power building, a feeling of Love, which is helping you actively. This will guide you towards the desired balance of Love, Peace and Harmony within your heart. This glow within your heart which brings to you such sweet happiness and joy may remain for a few minutes, a few hours, or a few days - and then may disappear. Never fear for slowly this power and gratitude will increase in you. As your life continues, you will experience this renewing energy more often, for you are Ascending up a spiral of light and vibration which will eventually bring you, as a Daughter or Son of God, into the kingdom of eternal light and bliss. Think of Ammachi, and meditate on the orange golden rose, the flower of God. You are looking at this rose from afar, as something outside of you. But it is within your heart, as is Amma, always! The petals of this divine rose are slowly opening as you chant your mantras to Amma, opening to receive the golden warmth of sunshine and power from above. There is a Light within the heart as well music coming to you from the rose. 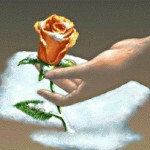 The Light from above and the Light from the rose blend as one...as you swoon into the bliss of Divine Love. May God grant me Health, Protection and Guidance. Aquarius, you are the Eleventh Sign of the Zodiac. After the establishment and structure of the energies of Capricorn, it is your job to make sure that these structures blend, mix and are flexible with the needs of the people they are meant to serve. In the Northern Hemisphere, yours is the month of the deepest part of winter, which can be most unrelenting. The cold, dry air crackles with electricity. Yet the light of Spring is returning, most perceptibly, along with signs of life, although subtle, which stirs our hopes that Spring will arrive soon. In the Western Zodiac yours is the sign of the Water Bearer, although his jugs were more likely to be filled with air, which is your element. In early Babylonian times your constellation was called the "Giant," suggesting a great being who knows all and sees all. You are likely to be aware of any political situation since you represent group dynamics. You may now value your role as a detached outsider, especially if you feel there is corruption with group leaders. However, you will be completely devoted to a group that fulfills its stated objectives - when the objectives are those you firmly believe in. Your beliefs generally center around the rights of individuals and the advancement of knowledge. You also tend to assert your own individuality, even if it means working against your own interests. (It is said that those with an Aquarian Moon can be very cold and detached.) Your greatest shortcoming is an automatic reaction against any rules, even those that are for your true benefit. Above all, your strong, freedom seeking instincts will force you to stand up for yourself as well as for the rights of others. Used wisely, this drive can serve both yourself and those you influence. From: Medicine Cards by Sams & Carson, published by Bear & Co.
Beaver is the doer of the animal kingdom. Beaver medicine is akin to water and earth energy, and incorporates a strong sense of family and home. If you were to look at the dams that block woodland streams, you would find several entrances and exits. In building its home, Beaver always leaves itself many alternate escape routes. This practice is a lesson to all of us not to paint ourselves into corners. If we eliminate our alternatives, we dam up the flow of experiences into our lives. A doer is characterized by industriousness, and Beaver knows that limitation cancels productivity. Beaver is armed with very sharp teeth that are capable of felling whole trees. Imagine what those teeth could do to the limbs of predators. From the rear, Beaver is armed with a paddle-like tail that aids in swimming as well as in guarding its behind. This tiny mammal is well equipped to protect its creation. 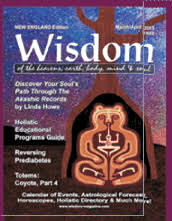 To understand Beaver medicine, you might take a look at the power of working and attaining a sense of achievement. In building a dream, teamwork is necessary. To accomplish a goal with others involves working with the group in mind. Group mind constitutes harmony of the highest order, without individual egos getting in the way. Each partner in the project honors the talents and abilities of others, and knows how to complete the piece of the puzzle that belongs to them. In working well with others, and sense of community is achieved and unity ensues. February 2019—the airy, determined, focused energies - is the time to put your ideas into action or to complete some project that has been neglected. The Beaver could also be asking you to settle differences with fellow workers and friends. Beaver tells you to look for alternative solutions to life's challenges and to protect the creations which you have put love and energy into. Sometimes Beaver may bring you a warning to watch your back! If this is your message, you will sense it. This could become a time of laziness and apathy or fear of opening new doors of opportunity. Move forward! Trust and use caution and all will unfold as planned, in a positive and creative way for you. Amethyst: A variety of quartz which brings to you spiritual awareness. Strengthens the endocrine and immune systems. Enhances right brain activity, helps memory and activates the pineal and pituitary glands. A powerful blood cleanser and energizer. Helps with mental disorders and creates a veil of protection. Physical representative of the Violet Ray of alchemy and transformation. Cuts through illusion. Enhances your psychic abilities and is excellent to use while meditating. Aids in your channeling abilities. 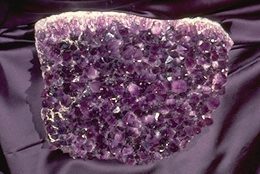 Amethyst is calming, strong, protective and aids with healing. Brings Divine Love, inspiration, and strengthens intuition and telepathy. 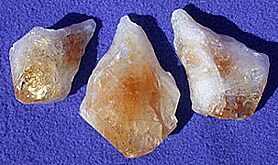 Citirine: Another variety of quartz. Good for the kidneys, colon, liver, gallbladder, digestive tract, heart. Helps with tissue regeneration so is excellent to use after any type of surgery. Detoxifies the system. Enhances the body's healing energies and diminishes any self-destructive tendencies. Helps with depression. Creates a powerful alignment to your Blessed Higher Self and Intuitive Guides. Brings lightheartedness, cheerfulness, joy and faith. Warning - this stone may attract abundance to you! With a gateway for its symbol, this Rune indicates that there is work to do both inside and outside of yourself. The Spirit of Transformation guards the gate of the personal world, looking out as well as in, symbolizing the abiding urge to transcend the limits of the little self. The Gateway is at once a portal and a frontier between Heaven and the mundane. Having this Rune during the energies of Aquarius, completes a cycle that brings new beginnings and is a recognition of your readiness to contact the luminous, the Divine, to illuminate your experience so that its meaning shines through its form. Thurisaz is the Rune of non-action. This Gateway is not to be approached and passed through without contemplation. During the time of Aquarian energies, you are being confronted with a true reflection of what is hidden within yourself, what must be exposed and examined before successful action can be undertaken. This Rune's strength lies in its ability to wait. This is not a time to take decisions. Deep transformational forces are at work with this Rune. Visualize a gateway on a hilltop. Your entire life lies behind you and below. Before you pass through this Gateway, pause and review the past; the learning, the joys, the tests and tribulations, all you have experienced and all it took to bring you to this place, this moment. Bless it, release it, and let it go! For in doing so, you will reclaim what is truly yours, the powers within the Universe. This has always been the section for Healing Requests. Through the power of group prayers, healing take place spontaneously. You can be of help to many others, as well as your loved ones, with one minute of silence at 7:30 pm EST every Sunday evening anywhere in the world. With a prayer for the recovery of health, universal energy is sent out to any and all who send in their prayer request. What is needed is the name and birth date of the ill person, along with a diagnosis, if possible. What are you asking to be lifted? When you place your request in the Healing Circle of Light—located in our Prayer Room, – know that as soon as you make your Prayer request and Healing request – you will begin to see positive results! and read them all together, for monthly guidance and direction. The February 4h New Moon in Aquarius brings the time to finally throw out the old and bring in the new. Ruled by Uranus, Aquarius brings us surprises and reversals. Aquarius loves groups and finding new ways of networking. The February 19th Full Moon in Virgo brings a special Full Moon and a sign change into Pisces. Your intuition is higher and your emotions are running the show. With this Supermoon we are reminded that matters have come full circle and we have to start over again in some manner or way. February keeps you in overdrive until mid-month. Then your engines shift into reverse for awhile. Bouncing from one thing to another doesn’t recharge your batteries. Take advantage of the slowdown and look over the list of what everyone wants you to do. Time for your concrete actions to bring in your abundance. In February your energy stabilizes. You don’t fare well when everything keeps moving and changing, but you can’t get a handle on it. A lot of focus on what you are doing and why dominates your thinking now. You realize that you are seeking a completely new direction at month’s end. In February the bounce in your step returns. No more living in slow motion because your mind is running at high speed. Your life is in flux and surprisingly you don’t like it. You are still trying to find out what to do to bring you peace of mind. In February keep your head down as you move forward. You are hard at work on deep levels and there’s not time for running around. You are highly resistant to being pushed in any direction as you dig in your heals and become defensive. Allow yourself to take time to shift your priorities. Remember — you are safe, it’s only change. February bring you the return of your natural confidence. The way people behave is a constant mystery to you, testing you to your core. Time to discern the difference between love and approval. Take time to accept the discomfort you feel, rest when you can, your mind, body and spirit to prepare for next month’s big shift.
. February brings a deep shift, a feeling that you can’t quite explain. It’s as if you’re in the twilight zone. There are bad tempers and questionable behavior all around. To be clear, try writing down what you want to say. All this disruption occurring is the intent to move you forward. February brings the emotions of “hurry up but take your time.” Remember, you cannot change everything all at once. Although you want to wind up every problem or disturbance into a ball and send it via rocket off the planet, is would not solve everything. Instead, honor your experiences, feel all of those feelings, while being kind and compassionate to yourself. February brings quiet times for you to reflect deep within. Make sure you include those you love into your world. You need some perspective. You have the tendency to become so absorbed in your life that you run around in circles. This leads to obsession rather than clarity. In February you are in your glory. You are sure that life is going to bring you confidence and inner joy. You stop all the confusion as a brand-new opportunity comes along to take your career to the next level. You don’t waste any time jumping on board. January is your time of year, right Capricorn? Then why do you feel so queezy and off center? Perhaps your body is giving you a clear signal that it’s not going to support you in maintaining any unhealthy life patterns. As much as your mind prods you to “get going” your physical energy is up and down, leaving you a bit frustrated. Adapt, Cap. And work when you’re energized and take a break when you’re not. Don’t allow expectations to get the better of you.
. February brings almost the end of your patience and perseverance. Time to move forward with plans and ideas you’ve had on delay. Strike while the iron is hat. 2019 is the year to restructure your life for your comfort, security, and happiness. February brings a time of extra sensitivity. You are on high alert as you tune into those around you as well as world events. Something is happening behind closed doors, and you can feel it. Just know it’s not about you, Follow your instincts.